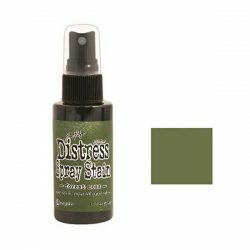 Seedless Preserves Distress Spray Stain by Tim Holtz. 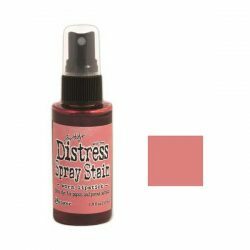 This the same fluid, water reactive formula crafters have come to love in the Distress Stains, but now in a spray format. The bottle features a quality mist sprayer. 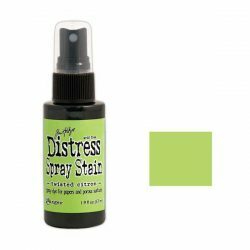 Spray directly on porous surfaces for quick, easy ink coverage. Mist with water to blend color and create mottled effects. Spray through stencils, layer colors, spritz with water and watch the colors mix and blend.